I want you to experience this ecstasy! Yes, I'm listening all alone, at night, and getting things honed in for Decfest in October 2009! I've been deep, deep, deep into the creation process working on a solution to the digital blues in the form of a Decware DAC to end all dacs. Of course this started 7 years ago, and is now finally coming together in a mind numbing way that is presently exceeding my wildest expectations! I simply can't wait until this years Decfest to debut this DAC in one of my favorite reference systems. Imagine a pair of 6 inch full range drivers that are flat and healthy from 20Hz to 20kHz with a sensitivity of 95dB on a world class 5 watt amplifier being directly driven by this DAC and all I can say is that while test driving this system, I'm dumbfounded at what I'm hearing. I've stumbled onto a way to make digital as satisfying as good analog and I never thought I'd ever hear myself say such a thing, but it's true. Right now I could almost care less if I ever listen to an LP again. Be sure to come and experience this with me at Decfest, OR if anyone wants to come between now and then (evenings only, you'll have to spend the night in a hotel (or in the listening room) and get the real treatment by having it all to yourself for the entire evening!!! The system demands to be heard. I would say it's probably twice as good as the best most of us have ever heard, myself included. Any more hints as to the topology? Non-oversampling... or what? I'd also be majorly interested in this DAC. Even though I have a DEC685 and DEC343 and also vinyl setups, recently I've been working on putting together a convenient, compact digital front end based on a mini ITX motherboard. Those motherboards are 6 3/4 square. I've ordered and received all my parts, except for the Zotac ION-ITX-A motherboard which is back ordered. That's a dual core Atom CPU with the Nvidia ION graphics which would also allow me to use the system to do HD blu-ray playback. My CDs aren't organized and I spend a certain amount of time sometimes just trying to find a CD... so I wanted the convenience of a digital audio server, but still wanted it to sound nice. A critical piece of the system is the USB DAC. Currently I have Yeo's USB Monica DAC and was planning on using that in the system. But that's also why I purchased the Decware Zkit4 and Zkit5 with the voltage tube regulation to back end the USB DAC. I think a lot of people are currently using or are going to these sorts of PC based servers for their music. Steve were you also going to offer a USB input variant of the DAC ? As luck would have it, I still have many "can't live without 'em recordings" only available on vinyl. It's unlikely they could be home-digitized at such a quality that would surpass a good vinyl source as I believe the best sounding 16/44 cd's are downsampled from higher resolutions, no? Every home-brew method I've ever heard that transfers vinyl to digital doesn't come close to a studio level transfer from the original master tape of the same recording. So, whether I like it or not, vinyl is a permanent fixture stuck in my system, although I would really really like it if there were a dac that could slay vinyl. I have some cd's that are sacd's, only (which do not contain a redbook layer). I'm assuming you'd have to live without these if the Decware dac plays 16/44, only, or would it be able to deal with sacd encoded data? Just curious, but probably not...? Wow, exciting. Glad to hear you are traveling down this road Steve. Although I certainly love my vinyl digital does make a lot of sense for my office system and makes it much easier for my wife to listen to what she wants to during the day. I also believe that such things will bring more younger folks into the real world of digital audio coupling with music servers and such. We really need to get them away from iTunes garbage and help them discover what its all about. Look forward to seeing updates as you progress. Steve: My equipment list below is that of a very simple 2ch. system. What can I expect sonically by adding this DAC? I'm going to pretend that I didn't ever see this thread. (And it should be easy, like Karl I am very fond of SACD and this is not going to decode that, and I'm very happy with my digital playback). As many readers of the forum know, I have owned some very nice DACs including the $10,000.00 Zanden 5000. It was really good, but IMHO not worlds better than the most recent Camelot Uther. Much to my disappointment, it was also not as good in an absolute sense as any decent, modestly priced analog rig ..... although for my purposes and listening habits I have continued to enjoy my digital only system with the Decware ZCD doing a very respectable job of putting music in my room. Many recently released CDs can sound quite good ..... one example being CDs on the German Stockfisch label. They do not suffer from the "digititus" that afflicts many CDs produced by the larger popular labels. My biggest complaint has always been with the CDs of some of the best music originally released on vinyl during the 60s, 70s and 80s. Some of the music I love most ..... such as Pure Prairie League's "Bustin' Out" is an absolute atrocity on CD and I have never heard it sound good on any system ..... while the LP sounds just fine on a very modest analog system. The bass on the CD sounds like it has been stripped out and the upper mids and treble are cold and sterile. This balance is pretty common on many of the CD releases of music from this era. Due to the limited time I have left on this earth I may have to be satisfied listening to the wonderful vinyl system I have built. It is great to know technology is still moving forward but I am stuck in the past. its been a long time since i posted, but my most recent audio epiffany is the importance of pre amps and dacs. can you make a 12v version of these steve? hundreds of serious car audio people globally would buy it. Personally I'm skeptical about this DAC (or any DAC that claims to be as good as analog). Granted I don't have the Steve's reference gear nor do I have a properly treated room. But so far my measurements confirm my hearing and in due time I sent back the ZCD in favor of Metric Halo. The SE34I.2 has only 40-20000Hz bandwidth when loaded with HDTs and it confirms why I feel that a sub is needed. This may go against the mainstream attitude here but I would hate to discover that the DAC adds something that is NOT in the original signal, like random phase shifts, compression/expansion, dynamic equalization. I admit that all three mentioned are the natural phenomenon accompanying the cantilever moving in the groove. But I don't believe it can be artificially reproduced equally well for all musical genres. Well I sympathize with your skepticism, Michkhol, as I'm also a skeptic, especially when it comes to the comparison of analog and digital playback. In fact, although I'm skeptical of my own skepticism... shucks, forgot what I was even trying to say. OTOH, this sounds like a really interesting DAC project that Steve is into, and I have a lot of interest in how it turns out. 30 day refund policy Karl! Thx for being my personal shopper, Don! I spoke with Steve today as I want to hear his new dac before Decfest. So, I will be traveling to Peoria to hear the new dac, the mini Torii and speakers. I am very hopeful that the new Decware dac gets closer to good vinyl????! This past weekend I participated in a local audiophile meeting hearing a tricked out, battery powered Red Point TT/Shroeder arm/ZYX Universe with Shindo preamp/Lamm monoblocks and it destroyed a well regarded (not brick) dac from Gordon in Cincinnati via a Mac Mini PC system. Of course, we listened to Acoustic Sounds remastered 45s LPs, but these LPs sounded the closest to live that I have experienced. In fairness, Gordon's dac was much better than most highend CD players that I have auditioned this past year. Digitial, even at the high end, still has many miles to make up to even approach highend vinyl. Since I listen to LPs as my primary source, I am searching for an OK dac at reasonable cost to backup my vinyl system. Since I have a very good tuner and great local FM classical and jazz stations, CD playback has to excel or my sources will be only vinyl and FM. having owned a few decware amps..that transparent nature of them, i'd be interested in this dac, especially if affordable (<1K). If you wouldn't mind, I would like to get your thoughts on the new DAC as compared to the ZCD. Of course, a very good CD (about 15 to 20 % of what's available) would raise each of the digital scores 5 to 10 points, IMHO. Not all vinyl sounds great and I still hate surface noise as much as having a tooth pulled without novacaine. I genuinely enjoy my digital based system. My room and total system sound better to my ears than a good number of vinyl based systems that I have heard ..... for reasons that are logical to me. Are you in a position to make a head to head comparison between the new DAC and the ZCD ? Where would you put the ZCD and the new DAC in my scale ? Also ..... what are you using for a transport and does the quality of the transport make a huge difference with the new DAC ? Randy: You've phrased the question better than me, one I asked in a post above. Given a simple system, ie: Zen Select, TS GG pre, & ZCD, how would the new DAC benefit ? Is the revelation that came to you one of a digital nature, or in the analog stage that follows? "Satisfying as good analog" were my words. Since digital came out I have never found it satisfying like good analog. Something has always been wrong with it. It just doesn't caress me the same way. I think what makes analog so good (besides the almost infinitely higher sampling rate if you will) is the timing. Timing that properly defines pitch, timbre, dynamics and perhaps palatability. The idea here is that without the transients smeared around in time, the focus and basically everything will improve. Vinyl playback does not employ fir filters. The other thing is the oversampling. There are other ways to improve the bit rate and reduce errors. Vinyl playback does not have oversampling. Lastly jitter. To me this is almost the biggest hang up with digital since it takes a world class transport, cables and re clocking device in the DAC to prevent it from becoming an issue. That's a bit depressing when you buy your first good DAC and find out you have to spend a small fortune on a transport and cables to hear how good the DAC actually is. For ten times less investment you could set up a modest vinyl rig and have superior sound quality. If done correctly, both software and hardware, it is possible to get bit for bit transfer with up to 100 times less jitter than you would find in a typical CD player. Therefor the DAC will most certainly have a USB port and the piece of mind that comes with having 100% error free rips of your CD collection on the hard drive never to be scratched again. Randy, I'm not sure where to put it in your list, but it will be a non-oversampling and non-filtered DAC much like the Zanden was. What it does better than the ZCD player is in a word, more organic. Images are tangible, music has more openness and is a little less forced. Certainly it's a bit smoother too. The DAC I'm hoping to show at the DECFEST this year will be a three stage affair with a tremendous amount of adjustability. It can be made to sound warm enough to make sub par CD's almost listenable, but of course the voicing is being done around great recordings. I just know that once I heard the oversampling and FIR filter eliminated, that "thing" about digital that irritates me so me much was simply gone. In it's place was almost twice as much content in the high end. Sounding like more dots on the line if you will. My guess is the Zanden was a bit too thick and trying to sound like analog at any cost. For that kind of money it was probably over done too. I could be wrong, but to make sure the same doesn't happen with this one, I have set it up so that the output can be directly of the DAC chips themselves - the ultimate in transparency. OR, the output can come from the tube stage OR, the output can come from the finals being fed by the tube stage. The finals are solid state and very adjustable. This can be done on the fly while you listen. It's capable of being highly focused - more so than an oversampling design, and with the extras it can be juicy rich. Without any tone controls, the frequency balance can be leaned out or fattened up, and the dynamics can be brought out in a way that is not possible with virtually every other DAC I've tried. You can quickly find that magic window where the dynamics begin to liberate themselves from the speakers and the weight goes a long way to making sound more like a good LP. So I'll leave you with that. Right now I'm not interested in writing the papers on it, just getting it turn key for the fest. I don't even know the price, but I have plans for simpler versions to follow it up so that everyone can afford something listenable in front of say a Zen Triode amplifier. I'll certainly keep track of this tread, and try to post some pictures next month when I attempt a production build. Thanks for reporting what you shared with me during our recent phone conversation. You feelings concerning digital problems with filtering and jitter match mine, and I am happy that you will be introducing a non oversampling dac. I really look forward to hearing you new dac as my journey to pc audio is just beginning. I would love to retire all of my lp playing routines and simply enjoy the music. Will the new DAC connect to iPod with a USB to iPod adaptor cable much like a iPod interface with other devices? The iPod connector out feeds direct digital out to USB if I have my facts straight. That way any lossless digital copy on the drive that is 16/44 come right from the HD or SSD device into the DAC. Is this indeed what is being proposed? True hi-fi in your pocket. Despite what certain companies would have you believe, the IPOD 20 pin connector will not do a direct digital out without internal mods to the IPOD. That's not entirely true, sorry to say, there's the Wadia iTransport, the only licensed Apple device that extracts a digital file from the iPod. I have one. . .and it works very well with the Scott Nixon designed DAC within my Peachtree Audio "Decco" integrated amp (tubed pre, FET amp, I'm just using the pre section currently, driving the Integrated in my bedroom system). Boy that Wadia unit looks very similar to my Mac Mini. My main computer rig for now until I must break down and get a new MacBook Pro. It's a little disconcerting to think that a pure bitstream output of any computing device is so confusing for what should be a simple procedure. Thanks for the quick reply Steve. I want to know more about this. Maybe Apple can answer this definitively. OH and I WANT to experience the "ecstasy" of which you speak! I was wrong about the Wadia, earlier research on my part was misleading... It will output ISO USB data (16/44) that it is currently playing. 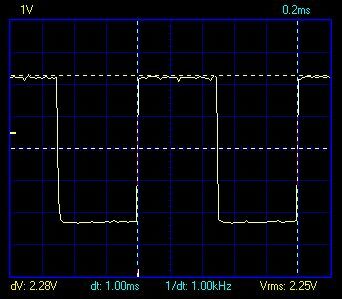 Kind of simulating a Computer sending data to a USB DAC but only after the command state is initiated by an IR remotes serial commands. can't disagree with the NOS philosophy. ironic but it seems the more you spend on resolution, the less you enjoy the music (ymmv). the least enjoyable dac i've heard was an upsampling 192k that sounded artificially enhanced and streched, lacking the natural timbre of how an instrument really sounds (musicians or fans of live unamplified music will know). "can't disagree with the NOS philosophy." steve basically sums it up with his write up...but basically the part under "FIR FILTERS". the non over sampling philosophy is a good one, but imo the key is in its implemention to mitigate the cons. The two papers are quite a good representation of the two views on oversampling vs. non-oversampling. Since the sampling frequency of CD is 44.1kHz, each delay time for the 1 x sampling is 22.ms per tap. To achieve 8 x sampling, SM5842 repeats 2 x sampling three times, and each step incorporates the taps of, 169 degrees for 2 x, 29 degrees for 4 x, and 17 degrees for 8 x. 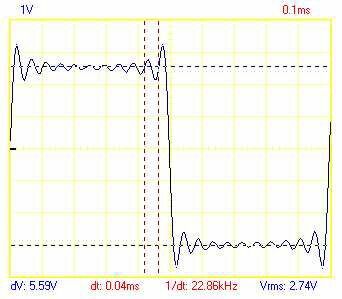 The accumulated delay of each step becomes, 1.92ms, 0.16ms, and 0.05ms: total of 2.13ms. Our auditory sense does the frequency analysis at every 2ms interval, and 2.13ms of delay can be caught by our ear. This 2.13ms is likely what gives consumer grade digital it's signature in my opinion. And why I've always preferred listening to analog. I would recommend reading both papers. You'll see it's possible to make an oversampling DAC sound good which explains why there are so many that do. However, only if you reduce the number of taps to keep the delay less than 2 ms. Myself, after hearing a variety of NOS dacs, be they perfect or not, all had far less of whatever it is that makes digital sound so lame next to analog. I highly recommend reading both papers. However, I will admit that after hearing my first NOS dac I had to know why oversampling apparently ruins the playback and why 44.1kHz 16 bit Redbook format suddenly seemed to have many times more information in the top end, my biggest complaint against CDs. I found Kusunoki's paper a refreshing and satisfactory explanation for what I was hearing and shifted my attention of figuring out what implementations worked best.